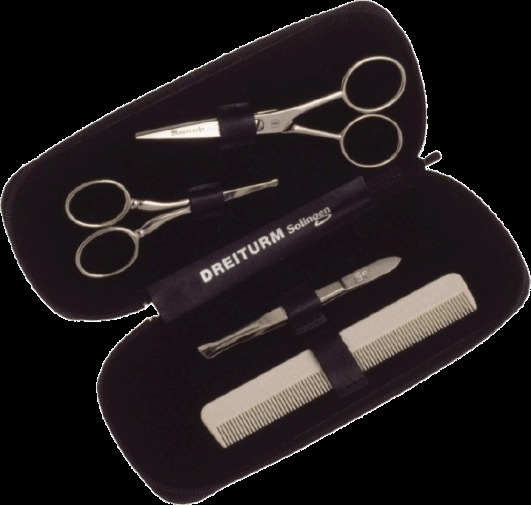 Premium set includes a nasal scissor w/rounded safety tips, moustache/beard scissor, slant tweezers, and off white moustache comb. Leather case zips to close. Made in Germany.